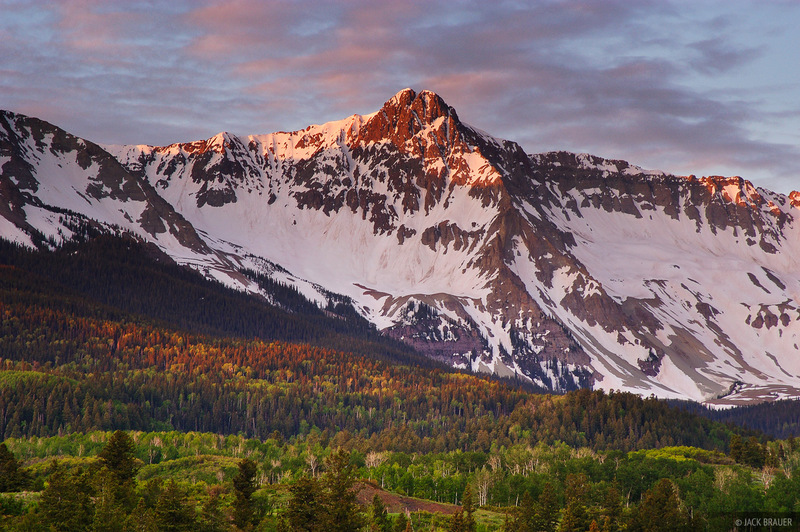 Sunrise alpenglow on Mears Peak in the Sneffels Range - June. I've thought this grand symmetrical mountain resembles an eagle with its broad feathered wings and talons easily visible from far distances. Photo © copyright by Jack Brauer.